Spring Into Fitness With Us! New classes, more sessions for kids, a few time changes and lots of stellar events! We’re especially excited about our debut Hip Hop Throwdown. Rehearsals begin the first week of April, click here for registration details. We’ve also got a brand new Epic EDM workshop to kickstart the month, followed by a duo of Frisky Fridays. NEW Afro-Caribbean Thursday Mini-Series: Explore the dance styles of Africa and the Caribbean with this explosive, all-levels workout at 6:30 p.m. in Midtown for 4 weeks starting March 28. (This and a hip-hop rehearsal group will temporarily take the place of Barre and Tap Tonic while Lee-Ann is away. Her classes will resume in May). NEW Boot Camp on Tuesdays in Midtown: Join Lael at 7:30 p.m. for a killer total body workout incorporating kick boxing, martial arts, strength conditioning intervals, high cardio and more. In a departure from our usual focus, you won’t dance much in this straight-up boot camp. *Update: Since so many students were excited about the Afro-Caribbean mini-session, this time slot will turn into an ongoing Afro-Caribbean class starting April 23. NEW Kids’ Classes: Tuesday Creative Movement for 3-5 year-olds. Please pass along the info if you know any kids who might like to join in! Monday DPBC & BarreFit return: After a short break for rehearsals for our last show, Deb resumes her former Midtown lineup. Tap Technique moves to Wednesdays: Still at 7:30 p.m. with Pam in Midtown. 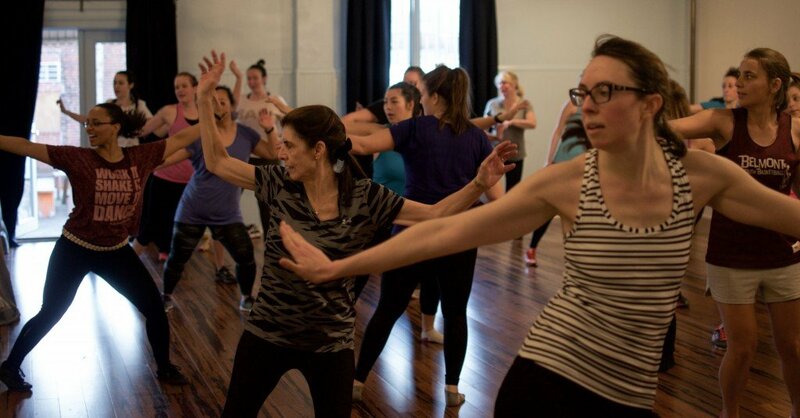 Friday Dance Party Boot Camp starts later: RaGina’s class will now begin at 6 p.m. in Rittenhouse. Please note that we may also have some schedule reductions the weekend of April 19-21 due to the Passover and Easter holidays. We’ll post those details soon!